Have you got a question about Burnley FC that needs an answer? We’re not trying to say that we’re the leading authority on all things Claret but we are mad enough to spend some serious time doing research to answer your query should it require it. This is a genuine offer that is simply intended to be a service to Clarets fans and others young or old wherever they may be. The idea is that some of the best questions and answers will then form a permanent part of the site but we’ll make sure this is OK with you before we do so. 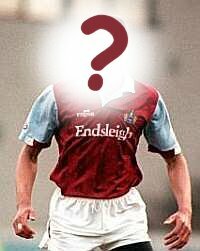 Depending on our success rate we might also feature an ‘Unanswered Questions’ section where you might be able to help fellow Clarets in need of information. The rest is really up to you and, although we like a challenge, please remember that nothing is too trivial so don’t be shy.